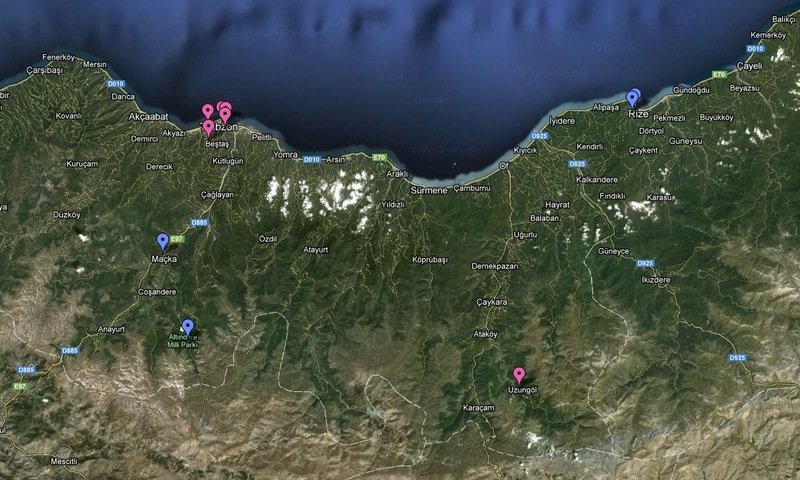 Our blog followers already know you should visit the Trabzon . 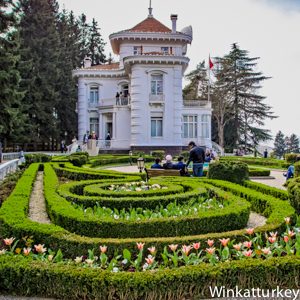 A must-see in the capital of the Black Sea is Ataturk Kosku, the mansion that the city gave to the founder of the Turkish Republic in 1924 and where Mustafa Kemal stayed during his visits to the city. 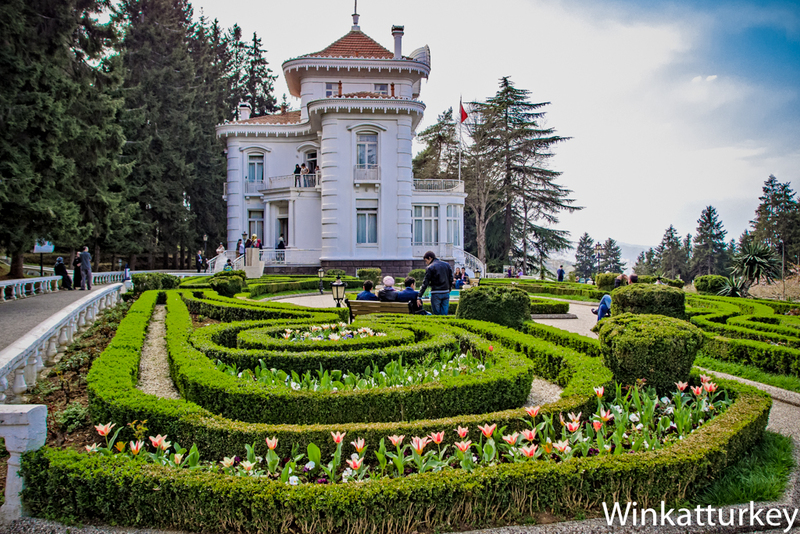 This is a beautiful Art Nouveau building from the early twentieth century surrounded by tulip gardens and forests that stands on a hill overlooking the Black Sea. Currently it is a Museum and its interior retains the furniture and decoration of the time..
We can go to Ataturk Kosku bus from near the Ataturk Alani square or take a taxi. The museum is located about 5 Km from the city center and you have to climb a steep hill. The entrance opens onto a garden with a nice view of the building behind the tulips beds. Before entering the mansion we can enjoy walking through the gardens. Watch the season, Trabzon is a very rainy place and in winter we can find the place covered with snow. 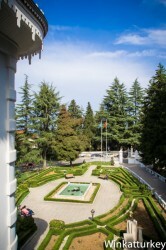 The pavilion was built in the early twentieth century for the wealthy Greek banker Karayannidis. It was a time when it was thought that a pontic republic was close to be created in the Black Sea area where an important Greek majority lived. 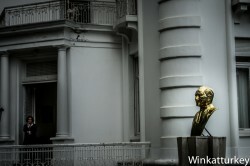 When Ataturk movement finished with that project, the building became property of the City Council. During his first visit to Trabzon in 1924, Ataturk stayed in the building. 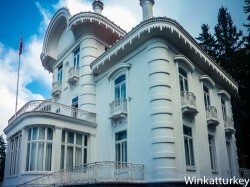 After his departure, a group of businessmen from the city bought the house to the municipality to give it to the leader. On the other two occasions when Mustafa Kemal was in town, in 1930 and 1937, he also stayed there. Precisely on this last visit and in this building, Ataturk signed before a notary the document by which donated all his goods to the Turkish people. The room where he signed the document remains intact. The three-storey building is a beautiful example of architecture of its time. Inside we can see the halls, dining rooms, bathrooms and bedrooms as they were in the years 20 and 30, including water systems, lighting and heating of the time. We also find a collection of photographs of the Turkish leader during his visits to Trabzon. On the third floor is Ataturk and his office. A pleasant visit that will not take long but will offer us a great view of the city and the Black Sea as well as help us to better understand the culture and history of the country. 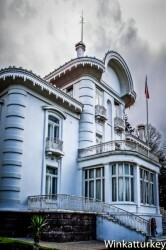 Kosku Ataturk mansion is a beautiful art nouveau style that citizens of Trabzon gave Mustafa Kemal Ataturk. Today it is a museum surrounded by tulips and trees.